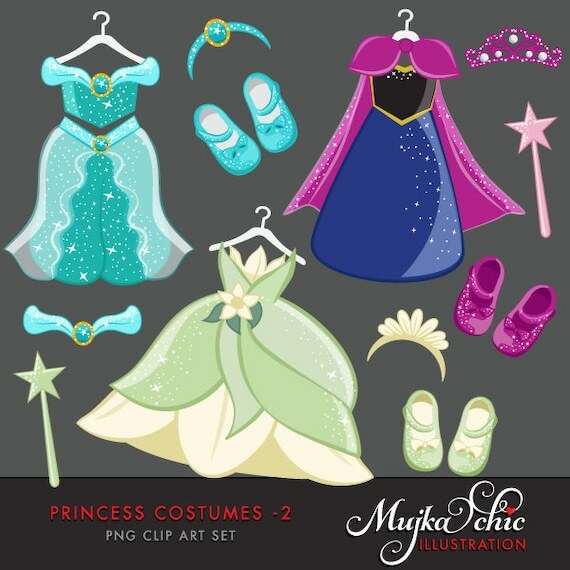 Lovely princess dresses, shoes, crowns, hair and dress accessories filled Princess costume Clipart set is perfect for a dress up or costume party theme. Every little girls dream being a princess. 6 princess dresses, 6 matching princess shoes, 6 tiaras and crowns, magic wands. Perfect for invitations, party printables and embroidery.